The maintenance of telomeres—repetitive sequences at the end of chromosome—is essential to health. Dysfunction in telomere maintenance pathways plays a role in aging, cancer, atherosclerosis and other diseases. This has led to telomere maintenance as a prime target for patient therapies. 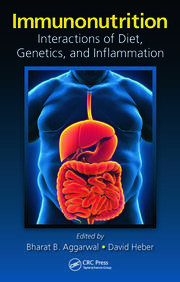 This book describes the advances in telomere research as it applies to human health and especially how lifestyle and dietary factors could modify the telomerase maintenance process. 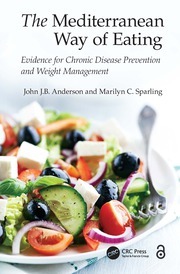 The book examines the mechanisms involved, the primary of which are oxidative stress and the role of sirtuins, and how they can be modified by dietary patterns such as Mediterranean diet. Homeostasis of DNA integrity. Telomerase Activity. Measurement of Telomere length. Telomere Integrity and Length and Cancer Risk. Telomere Length in Cardiovascular Disease. Environmental and Occupational Exposure and Telomere Length. Telomeres and Physical Activity. Caloric Restriction, Sirtuins, and Ageing. Role of Dietary Pattern and Obesity on Telomere Homeostasis. Advanced Research in Telomeres and Disease Risk. 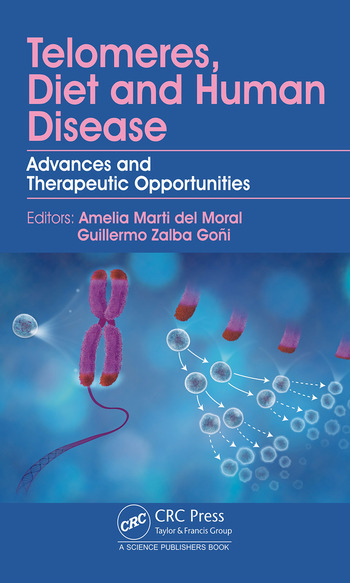 Clinical Aspects Relevant to Telomere Maintenance and Therapeutic Opportunities. Amelia Marti is Professor of Physiology at the Department of Food Science and Physiology of the University of Navarra. She is the director of the Navarra Study Group for Childhood Obesity (GENOI) and the Children Obesity Group of the Spanish Society of Obesity. She has published more than 220 scientific articles with a factor H of 39. She has supervised 15 doctoral theses, with National (Royal Academy of Doctors) and International Prizes (Ibero-American Academy of Pharmacy, Best Thesis Award of the European Society of Obesity). Her research has been honoured with the Silver Medal of the British Nutrition Society, the Merck & Daphne Award and the Be Alsajara Award for Excellence, among others. Guillermo Zalba is Professor of Biochemistry and Molecular Biology,at the Department of Biochemistry and Genetics of the University of Navarra. 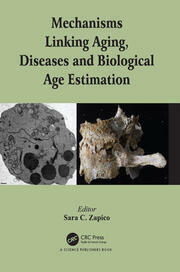 He also directs the Master in Biomedical Research and is the author of numerous publications in the area of ? ?cardiovascular diseases. His work has been funded by the Spanish Ministry of Economy and Competitiveness and by the European Framework Program.